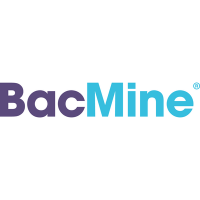 Bacmine SL (BCM) is a synthetic biology R&D company that designs and develops Bacterial Cell Factories for production of customised bio-active molecules and whole-cell catalysis. 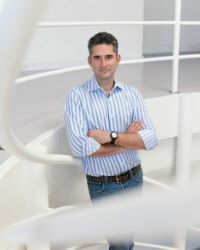 The company was founded by Prof. Víctor de Lorenzo, of the National Center of Biotechnology in Madrid together with the current CEO (see below) and Dr. Luis Ángel Fernández. The company’s mission is to provide solutions to industry by engineering and development of novel bacterial strains with customised functions. BCM’s reference laboratories and staff researchers have made fundamental and technical contributions directly applicable to the development of this project, specifically on development of genetic tools for analysis and construction of complex phenotypes in bacteria. BCM has extensive expertise in the genetic and metabolic modification and optimisation of P. putida and other gram-negative bacterial species. Additionally, BCM has extensive expertise in the ecological and bio-remediation aspects of plastic bio-chemistry. BCM’s role will be focused on strain engineering for surface display of PET/PUases (WP2), chassis modification for easier product release (WP5), on/off switches for lytic modules (WP5), manipulating natural PHA regulatory mechanisms (WP6) and development of synthetic biology tools (WP6). BCM is also involved in the dissemination and commercial exploitation (WP8) of the project results. Pablo Pomposiello (PhD), Chief Executive Officer, brings to BCM 20 years of scientific research, project management and team building. He graduated from the University of Michigan, USA, with a PhD in Biology (1997), and was a Research Fellow at Harvard University, USA, between 1997 and 2001. He was a Professor in the Microbiology Department at the University of Massachusetts until 2009. Since 2008, he has served as corporate consultant for the biotechnology industry in the USA, Latin America and Europe. In Spain, he worked as Chief Scientific Officer at Microbionta S.L. In 2011, together with scientists at the Centro Nacional de Biotecnología, founded BCM. 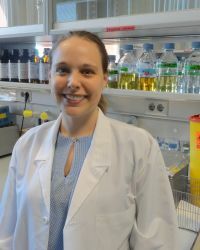 Toni graduated from Tufts University with a PhD in Chemistry (2009) where she was able to demonstrate the potential to make mimics of phosphorylated proteins chemically. During her postdoctoral work at Northeastern University she developed a solid support assay to determine Protein L-isoaspartyl methyltransferase (PIMT) substrate specificity. She then went onto the University of Notre Dame to investigate the mechanism of resistance to β-lactam antibiotics that results from the bacterial production of class A and class D β-lactamase enzymes. Due to her current interests now in bioplastics and bioremediation, she joined the BacMine team from July 2015 until March 2016 bringing her highly interdisciplinary research experience in chemistry, biochemistry and molecular biology.